Weekend mornings are lazy days best served up full of Bloody Mary bars, Brioche French Toast drenched in Vermont maple and rashers of crispy bacon. Whether you’re dining high above the city at a posh escape or at neighborhood shop for a grab bag of goodies, what you wear is just as important as what you order. Your outfit should never sit sidecar like a plate of hashbrowns. Enter the effortless put-together pieces by Uniqlo, the cool brand that brings you minimalistic fashion for weekend play. Here are a few ways to help you in your quest for the perfect brunch and the perfect outfit. Restaurants like Met Back Bay, Back Bay Harry’s and Cinquocento bring urban patio dining to new heights, while Sam’s at Louis adds in a seaside breeze. Now that the temps are starting to chill out, outdoor dining should be an exercise in layering. Think cardigans with dresses, T-shirts with tailored blazers. 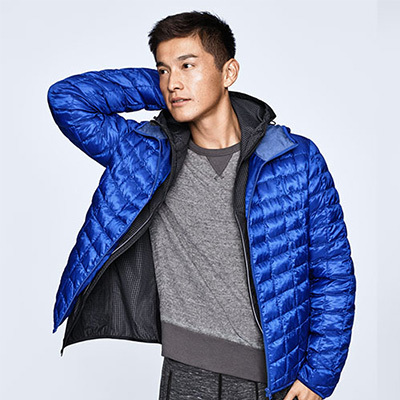 Uniqlo has options that add a warm touch better than any cup of coffee could. 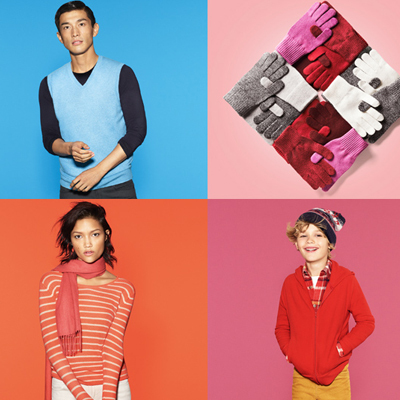 Their extra fine merino wool cardigan is light and soft and perfect for layering. They come in a variety of colors, so there’s no fighting with your outfit for attention. For the look of a sweater with the feel of your favorite tee, try their lighter cotton cardis made of soft Supima. Bonus–both sweaters are machine washable, so if you spill that cappuccino, it’s no problem. Whether you’re stopping by the South End Buttery for scones or Cambridge’s Area Four for piping hot skillet egg dishes, there’s something about a casual brunch that eases you into the day. No stress, just relaxation. This is the same feeling you get when you put on a pair of Uniqlo’s leggings pants. With a stretchy fit, natural silhouette and ease of movement, you can slide into that booth and order up a big stack of flapjacks without feeling constricted after you nosh. They’re also designed with a front button and zipper, as well as pockets. Add a pop of fun to your outfit by pairing them with a UT T-shirt. Consider these a movement in self expression. The fabric is like the old fashioned tees, woven with a thicker thread, and they’re covered in American movie characters, from Betty Boop to Marilyn Monroe. Something else that will make you happy—Pharrell Williams just joined the UT team as this season’s image personality. After a morning run on the Charles or a waterfront stroll, sometimes you just gotta go green. Check out juice bars like Nourish Your Soul, Smoothie King, Freshii and Cocobeet for a fruit and veggie concoction to start the day off right. While you’re exercising your right to be healthy, keep your body extra comfy in tees and sweats that still have style. Uniqlo’s Supima Cotton T-shirts are made with fine Supima cotton for a smooth, comfortable texture and a beautiful luster. Whether it’s V neck or crew, this wardrobe basic is great when paired with their Jersey Sweatpants for urban casual done right. These cropped pants made with stretch jersey feel light and comfortable in a design that’s stylish enough to wear around town. For the business of brunch, sometimes there’s nothing like the clink of crystal to accompany your mimosa indulgence. Whether it’s high above the city at the Top of the Hub or down amid Boylston’s bustle at Abe & Louie’s, sometimes it’s nice to have someone segment your grapefruit for you. But if you’re going decadent with lobster eggs benedict or a medium rare filet, you have to look the part. Enter Uniqlo’s Ponte Sleeveless dresses, made with soft, thick knit fabric in a timeless elegant design, or the Chiffon Dress, a feminine silhouette with sweet pleats. Drape either dress with a fabulous statement necklace and some knock out heels, and the views won’t be the only thing worth a gasp. Grab a blanket and hit the parks or waterfront for your morning munch. For your build-a-basket, stop by Savenor’s Market in Cambridge or Southie’s American Provisions for charcuterie, cheeses, bread, produce and specialty grocery items. Now that you’ve stocked up on your favorite snacks, don the denim. A staple for a picnic, jeans are no-nonsense for sitting on blankets and grassy knolls. Uniqlo has you covered in their authentic denim. Sourced from premium Kaihara denim in Japan, the process comes from a 120-year old tradition of making high quality denim. 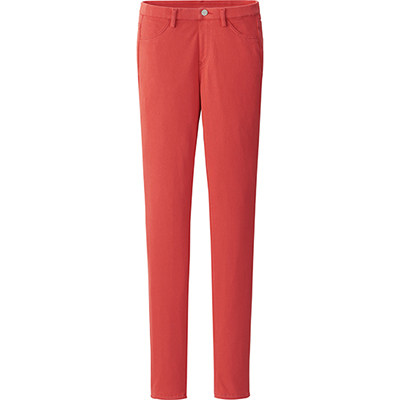 Since they stretch 30 perfect more than your regular pair of blues, these jeans are ideal for relaxing. Not to mention that the waistband has improved lining, and they said “goodbye” to waistband rivets that dig in when you sit. Pair your jeans with an oxford long sleeve shirt for a look as crisp as the morning dew. Uniqlo’s oxfords have a delicately-hued circle pattern, narrow collar, slender fit and a palette of 13 colors, so they’re über-feminine. With all these great outfit options and delicious brunch treats, suddenly getting out of your bed this weekend doesn’t seem like such a bad idea.